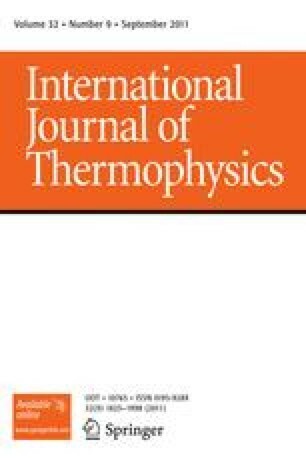 There is currently great interest in the international metrological community for new accurate determinations of the Boltzmann constant k B, with the prospect of a new definition of the unit of thermodynamic temperature, the kelvin. In fact, k B relates the unit of energy (the joule) to the unit of the thermodynamic temperature (the kelvin). One of the most accurate ways to access the value of the Boltzmann constant is from measurements of the velocity of the sound in a noble gas. In the method described here, the experimental determination has been performed in a closed quasi-spherical cavity. To improve the accuracy, all the parameters in the experiment (purity of the gas, static pressure, temperature, exact shape of the cavity monitored by EM microwaves, etc.) have to be carefully controlled. Correction terms have been computed using carefully validated theoretical models, and applied to the acoustic and microwave signals. We report on two sets of isothermal acoustic measurements yielding the value k B = 1.380 647 74(171) × 10−23 J · K−1 with a relative standard uncertainty of 1.24 parts in 106. This value lies 1.9 parts in 106 below the 2006 CODATA value (Mohr et al., Rev. Mod. Phys. 80, 633 (2008)), but, according to the uncertainties, remains consistent with it. The authors gratefully acknowledge Michael R. Moldover and James B. Mehl for sharing their long experience on the subject and their constant advice. Numerous persons contributed to this work. Michel Bruneau, Anne-Marie Bruneau, and Cécile Guianvarc’h provided acoustic expertise. Simona Lago and Paolo Alberto Giuliano Albo measured the elastic properties of a BCU3 copper sample and Wilfrid Poirier measured our standard resistor. Gaël Obein, Patrick Ballereau, Michel Bruneau, and Antoine Legay were sources of constructive discussions about the gas-flow effect on the speed of sound. We would also like to thank the Editor-in-Chief and all the team of IJOT for their help and advice. We gratefully acknowledge funding from the French National Research Agency ANR and the EURAMET Joint Research Project receives funding from the European community’s Seventh Frame work programme, iMERAPlus, under Grant Agreement No. 217257. Last but not least, these programmes were made possible through the very fruitful collaboration between our laboratory and other European laboratories, notably NPL and INRiM. In particular, we would like to thank Roberto Gavioso, Paolo Alberto Giuliano Albo, Michael de Podesta, Robin Underwood, and Gavin Sutton for the many discussions, the shared project results, and the years of close collaboration. We would not have been able to achieve these results without the support of Terry Quinn, Françoise Le Frious, and Yves Hermier. R.M. Gavioso, G. Benedetto, D. Madonna Ripa, P.A. Giuliano Albo, C. Guianvarc’h, A. Merlone, L. Pitre, D. Truong, F. Moro, R. Cuccaro, Progress in INRiM experiment for the determination of the Boltzmann constant with a quasi-spherical resonator. Int. J. Thermophys., doi: 10.1007/s10765-011-1032-9.